This is a Misty Morning at a Hill Country TX Creek. It is quiet and peaceful and I am just waiting for the deer to come for a drink, or at least that is what I was trying for! 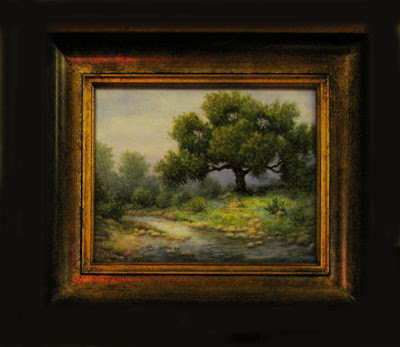 It is a framed original painting on an 8 x 10 porcelain tile.